​Martinis and Mid Century Architecture Tour takes you into the past and see the houses of some of the biggest stars of the 1960's like Rat Packers Frank Sinatra, Dean Martin, Peter Lawford and, even Marilyn Monroe. This exciting tour takes you into the heart of the 1960's where Palm Springs meets Las Vegas! After cruising through the architectural past, it will be time for an adult refreshment. In true Palm Springs fashion, we'll stop for a martini! There Kurt will share his martini knowledge with you. You'll discover why martinis are shaken and not stirred and how this drink became the signature cocktail of the era. The Interiors Tour takes you inside three mid century homes. Join us as we discover what it is like to live a modern life in a mid-century modern home in Palm Springs. We have a variety of homes that we tour depending upon availability. On our roster of homes that we visit are a 1959 Hugh Kaptur home that has been restored, yet sensitively modernized for year round living, a 1957 custom home by Libbott with striking views of the city, the first home in Chino Canyon that has been thoughtfully extended. A couple of the residences are even Class One Historic Sites like Howard Lapham's 1954 extended-stay vacation apartment motel and an Alexander/Krisel home from 1961 remodeled by Los Angeles party house architect Hal Levitt. Each home is distinct and bears the highly personalized interiors of its inhabitants. None were built as celebrity show homes, but well-designed and innovative houses using the principles of the Desert Modern aesthetic for the post-war middle class. "This was a terrific tour - comfortable ride, super-informative and such a charming and knowledgeable host! Kurt is a master at sharing interesting backstories and neighborhood histories - the time just flew by. I will enjoy PS with a greatly renewed appreciation - thank you, Kurt!" The Essential Palm Springs Tour showcases the local architects that shaped mid-century look of Palm Springs. 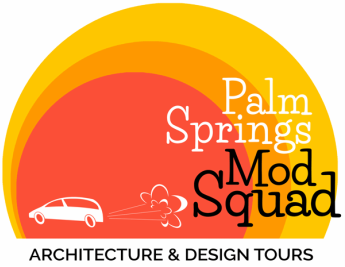 Though many great architects have designed and built in Palm Springs, there are six local architects that stand out as those who helped shape the mod architectural look of the city. This tour is devoted to them. ​ The calendar below shows all tour availbility. We can also customize a tour itinerary especially for you and your group. If you have special interests, let us know and we'll design the perfect tour for you. Just click our custom tours button and tell us your needs and we will create your customized tour.